Low testosterone levels in older men are associated with an increased risk of depression, according to an?Australian study. Between 2001 and 2004, researchers at the University of Western Australia in Perth studied 3,987 males aged 71 to 89. The men provided demographic and health information and were tested for depression and cognitive difficulties. The researchers also checked the men’s testosterone levels. The 203 men who met the criteria for depression had significantly lower total and free (not bound to proteins) testosterone levels than those who weren’t depressed. 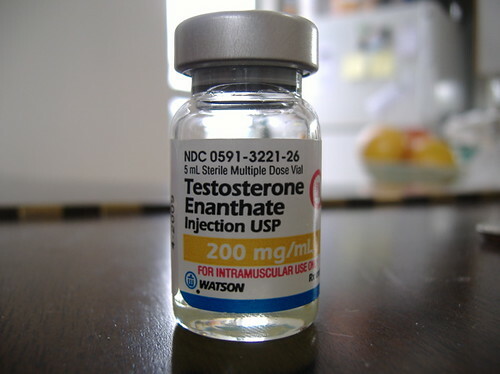 After controlling for other factors, such as cognitive scores, education level and body-mass index, the researchers concluded that men in the lowest quintile (20 percent) of free testosterone were three times more likely to have depression compared to those in the highest quintile. The findings were published in the March issue of the Archives of General Psychiatry. There is more and more evidence mounting?for?medically supervised?hormone replacement therapy. ?